Walco has over 100 years of experience providing fine cutlery and flatware to the foodservice industry, with continual growth and expansion over the decades. Walco's name is nearly synonymous with high quality stainless steel. For your restaurant or hotel, consider any of their variety of products ranging from steak knives, tongs, and flatware to serving trays and chafers. Modern technology and workmanship coupled with tradition and knowledge means that Walco products are long-lasting, reliable and perfect for nearly any foodservice establishment. 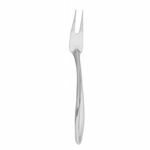 Walco both produces and imports flatware of the highest quality. 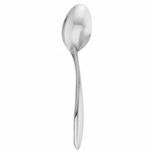 With a long history of working with stainless steel, Walco knows durable, fine flatware. Most of the Walco flatware lines are 18/10 stainless steel, with a few of the series being 18/0 stainless. 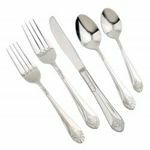 From Basic and Classic designs to elegant Formal and unique Modern designs, Walco offers you a huge variety of styles so that you can find the exact pattern and quality of flatware to match your establishment and to meet the requirements of your budget. Walco Steak knives are available in a large assortment of styles, lengths and handle materials to match your table settings. 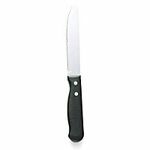 Specialty knives from Walco include meat carving knives and cheese knives made from quality stainless steel.